As someone with a lot of hometown (homestate?) pride, I've always loved Cents of Style's state necklaces. They're a lovely and fun way to remind someone of home or show your own state allegiance! 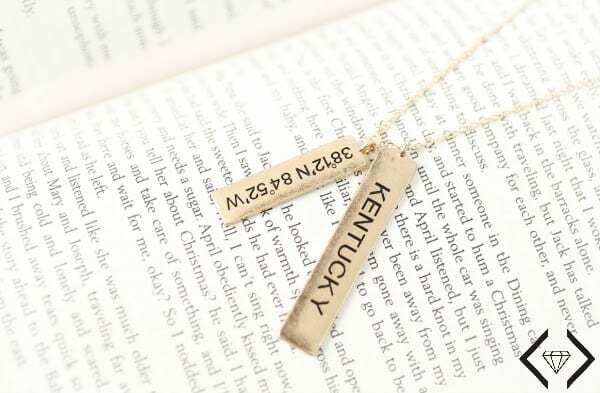 Last time we shared a state necklaces sale a ton of readers bought them and loved them. Today they're on sale again at an even better price! Today you can choose two state necklaces in silver or gold finish for $15 TOTAL with free shipping. 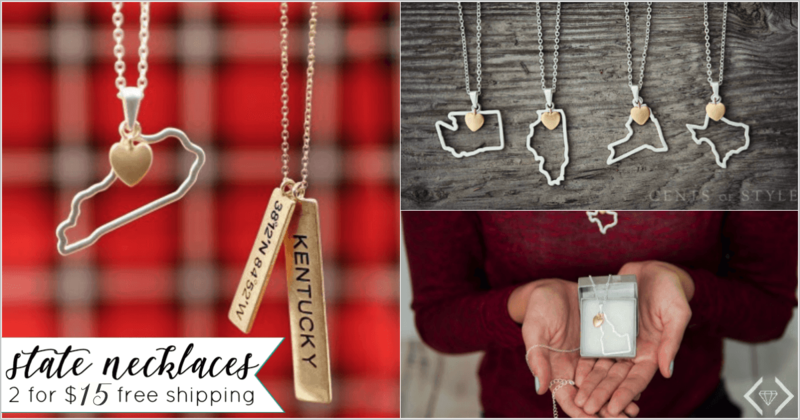 Use Cents of Style promo code 2FORSTATE at checkout to get both necklaces for a total price of $15. This is a $49.90 value and you're saving 70% on them! Choose from any of the 50 states in the classic state outline or the bar style with two pendants hanging from a delicate chain. These state necklaces. make lovely gifts for teachers, friends and family. I have a dear friend who's moving away from Minnesota at the end of the month. She's getting a necklace to make sure she remembers her home while she's on her journey. Our hearts are a little heavy with this 2-For-Tuesday deal. 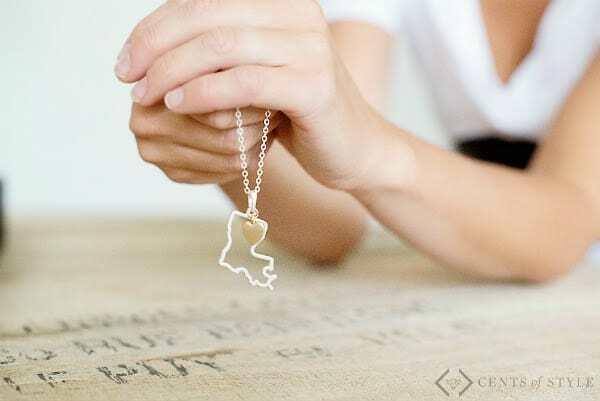 Cents of Style's state necklaces have been one of our very best sellers, and one of our favorite products. They speak to people in so many different ways and we have loved them. Whether it is a reminder of home, a dream vacation, a best friend, or where your heart lives, these are a must-have…and they look amazing stacked and worn together! It's time for us to move on from these necklaces and we are blowing them out at a price that can't be missed! If you love these necklaces, don't miss this offer-they'll be gone for good before you know it! Visit Cents of Style and choose two state necklaces in gold or silver. You can choose either the outline or the pendant style. Click Checkout and and go to the order summary screen. Find the box that says Gift card or discount code and enter your promo code, 2FORSTATE in the box.Then click Apply. Make sure the total price adjusts to reflect the discount. Your total should be $15 with this offer. Finish filling out that screen then go to the Select shipping method screen. Be sure to choose Free Standard Shipping (7-10 days). Add your payment information and complete your order. 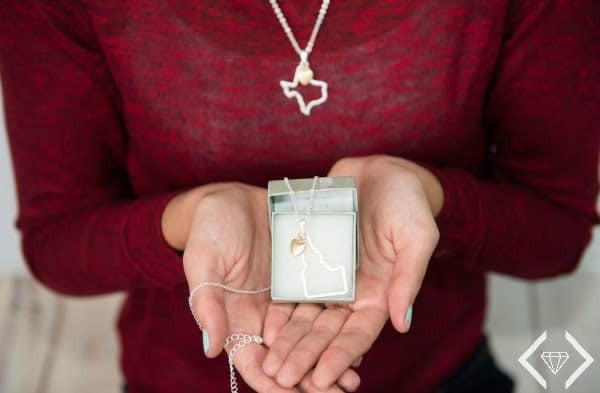 Share this state necklace offer on Pinterest by hovering your mouse over the image below and clicking the white and red save button.